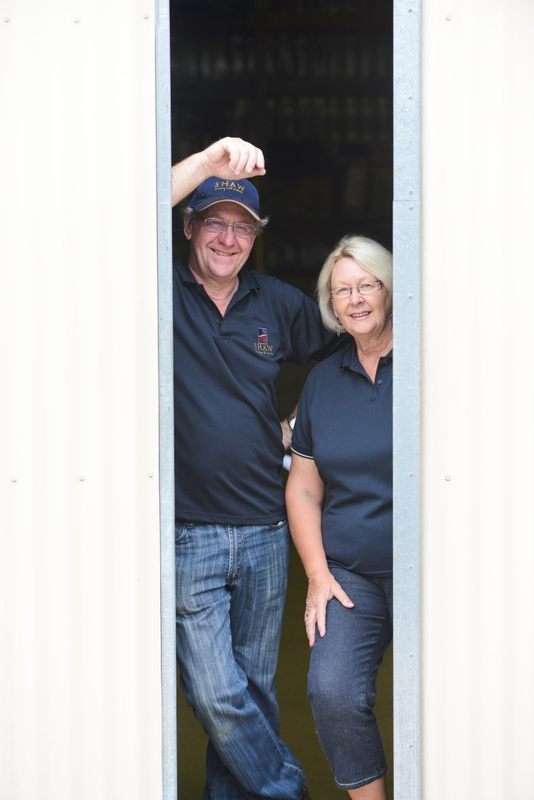 In 2016 Michael and Jill Bynon decided to produce wine from their 600–700 metre bush getaway, located near Nerriga, between Canberra and the New South Wales coast. 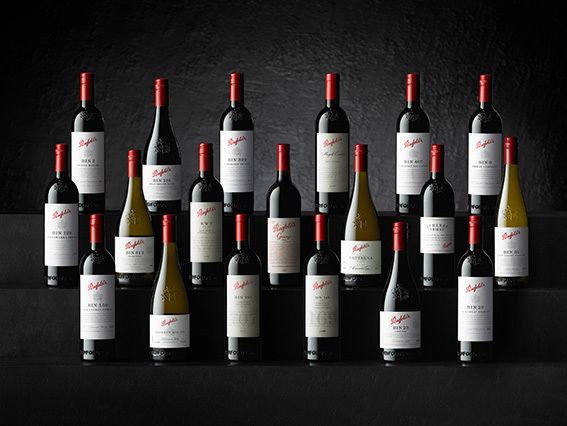 They called the venture Corang Estate, after nearby Corang River, and in winter 2017 took tempranillo and shiraz cuttings from Mount Majura Vineyard, Canberra, and Moppity Vineyard, Hilltops. The cuttings ‘are being planted in our vineyard next week, so we expect to get a small crop 2020’, wrote Jill on 31 May 2018. With their own fruit some time off, the Bynons kicked off their Corang Estate venture by buying fruit from Jason and Alicia Brown’s Coppabella Vineyard, Tumbarumba, and Moppity Vineyard, Hilltops region. 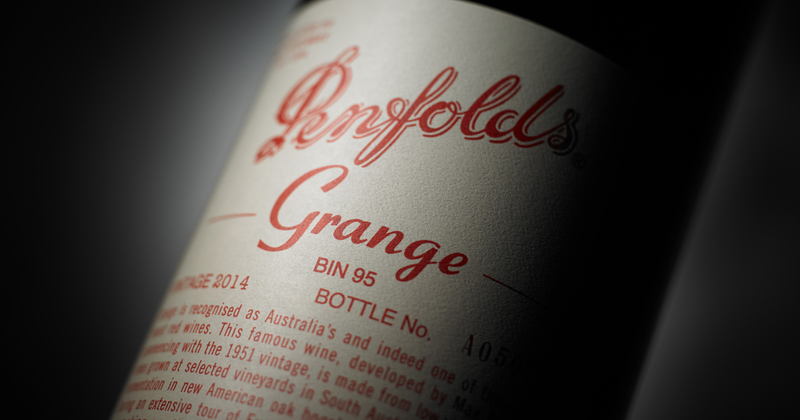 The resulting Tumbarumba chardonnay and Hilltops tempranillo provide really good regional–varietal drinking at a fair price. 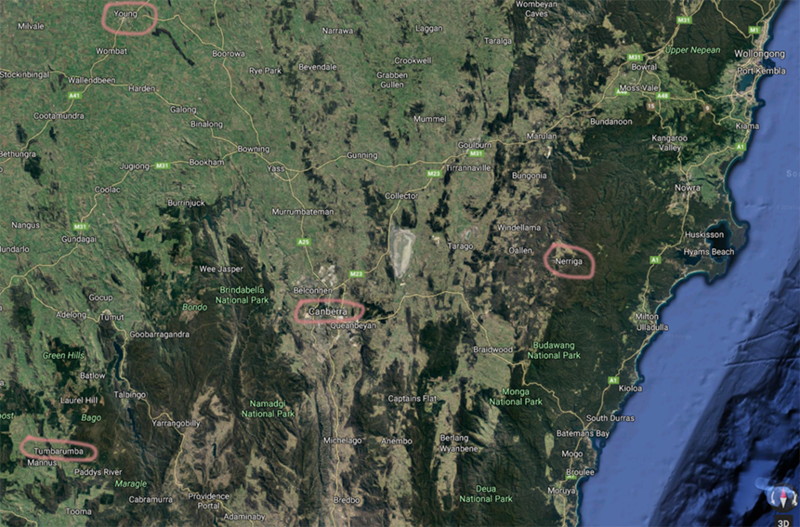 The map below gives an overview of the southern New South Wales high country. Read Michael and Jill Bynon’s story. NSW high country showing Nerriga (Corang Estate), Canberra, Young (centre of the Hilltops Region), and Tumbarumba. Source: Google Maps. Fruit from the Coppabella vineyard travels north to Hunter Valley winemaker Liz Silkman. She shows a gentle and deft touch with wine, in this instance capturing chardonnay’s melon- and citrus-like varietal flavour with just enough oak-derived texture to build the palate and add interest. Such clear varietal flavour demonstrates the unique quality of chardonnay grown at Tumbarumba. This is just a lovely, drink-now tempranillo in which winemaker Liz Silkman lets the fruit do the talking – an appropriate, low-intervention approach for this emerging Hilltops region red variety. The wine’s pure, fruity perfume introduces a juicy, equally fruity palate with flavours reminiscent of just-ripe blueberries. The variety’s fine but assertive tannins wash through the palate, adding savour and grip to a wine that really captures varietal character.